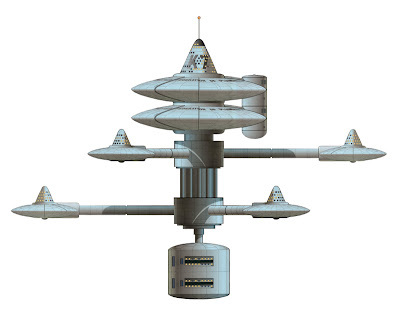 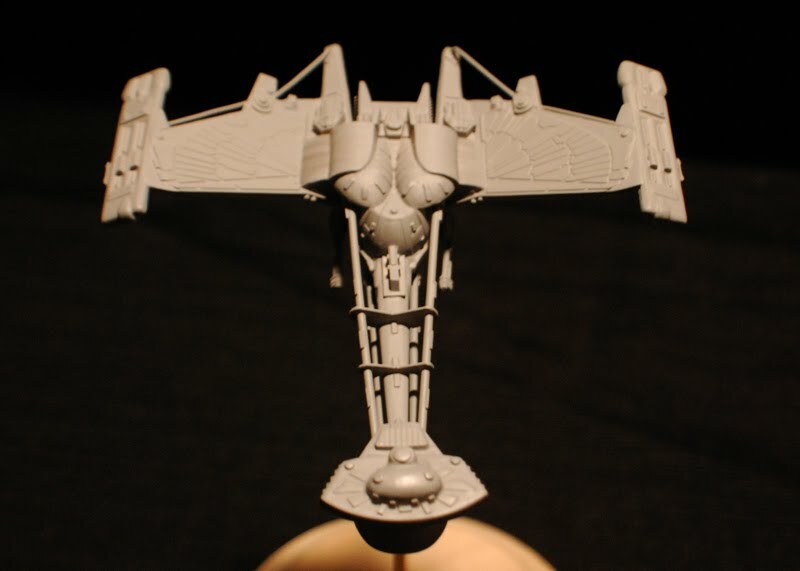 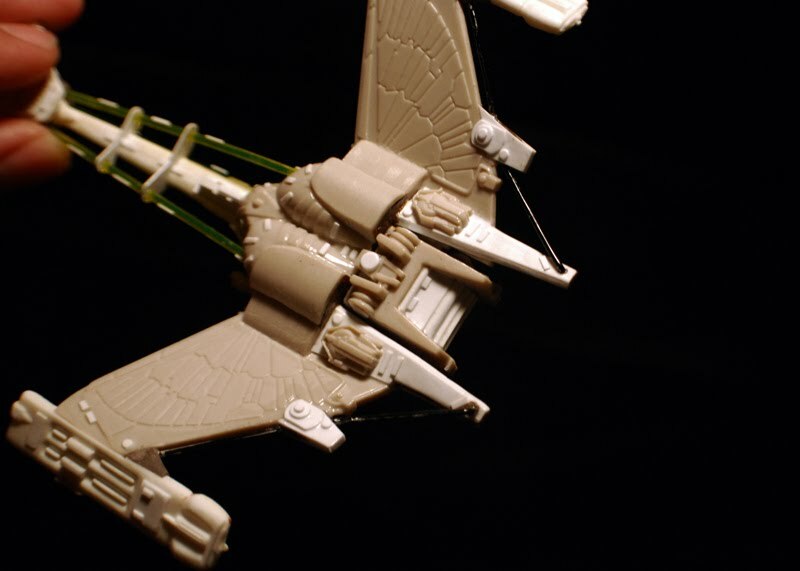 Here's my interpretation of what a Romulan Winged Defender would look like if it was built by Klingons instead. 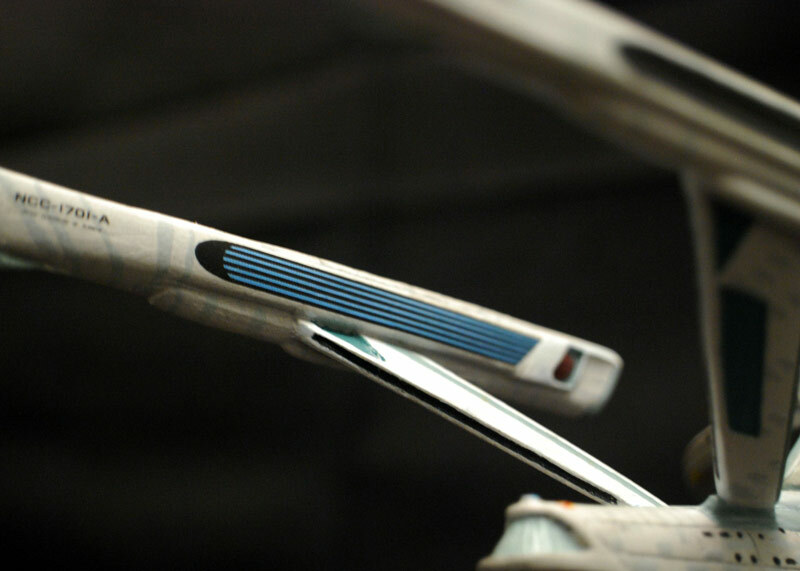 I based the detail of this ship of off a combination of 3 Klingon vessels; the D-7, the BOP and the early D-7 from Enterprise. 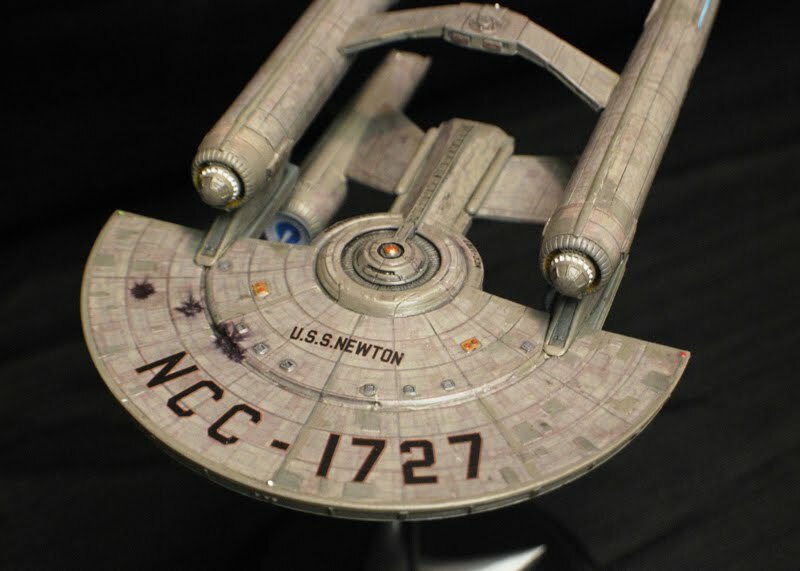 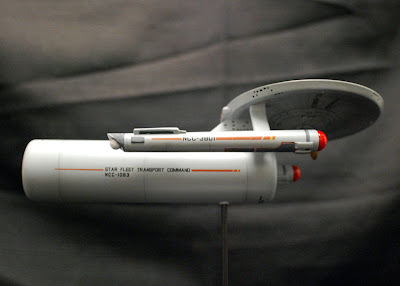 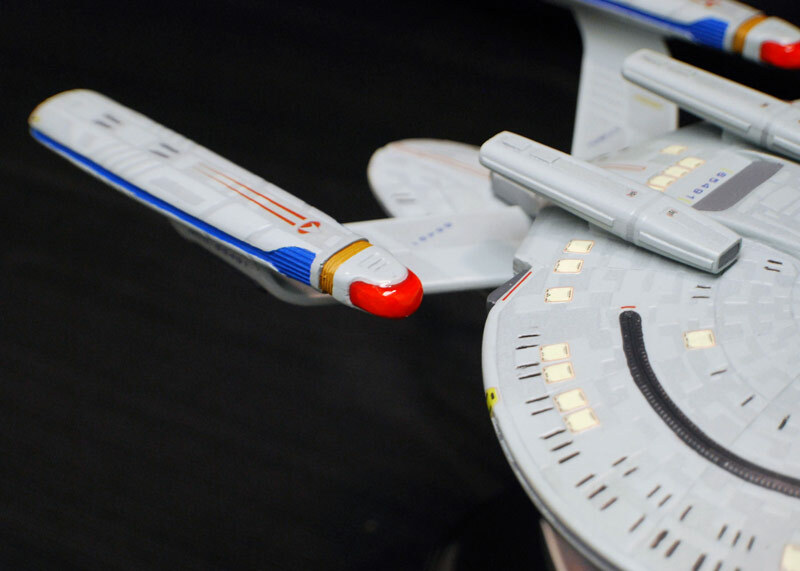 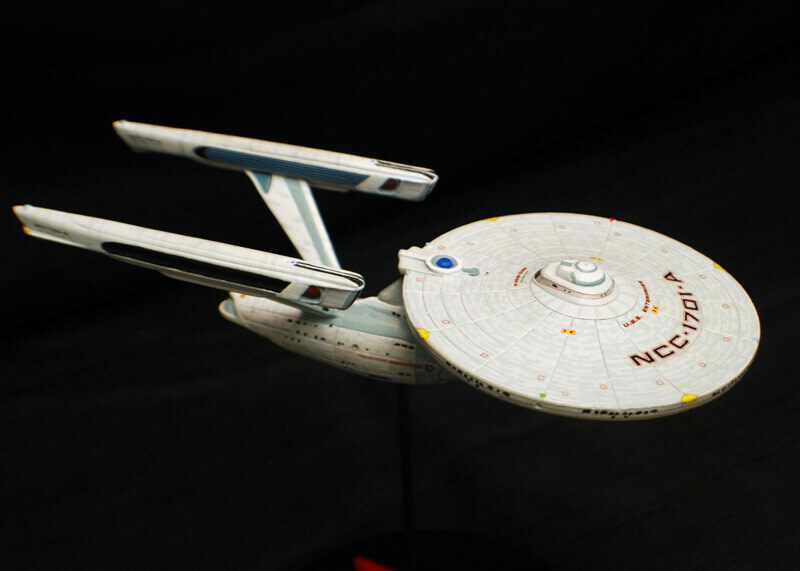 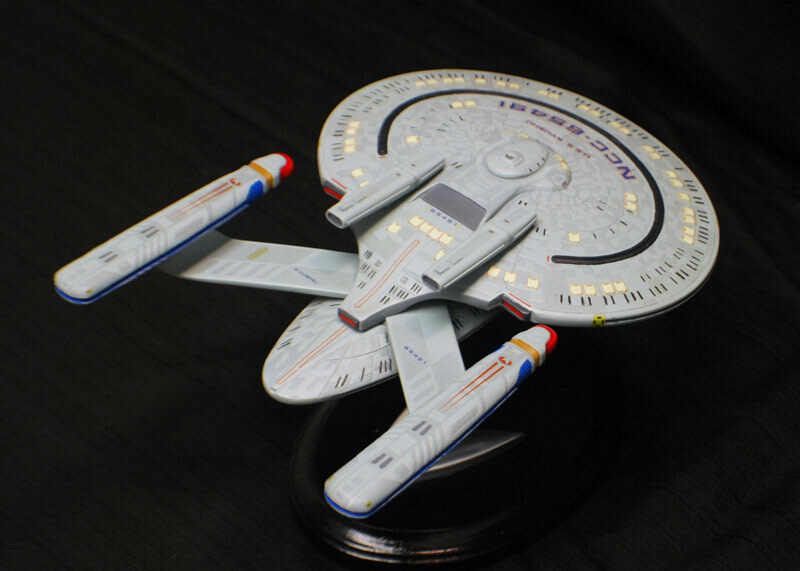 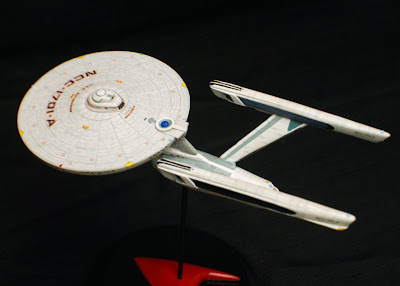 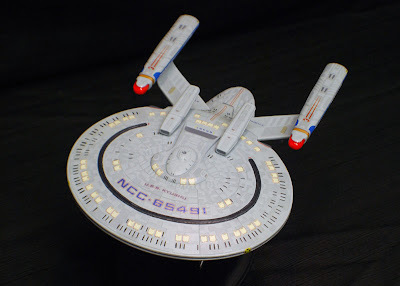 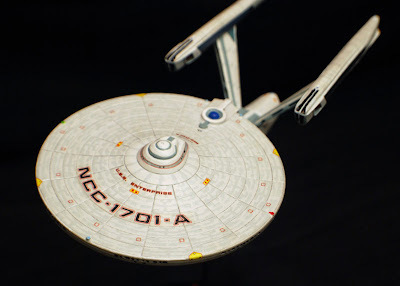 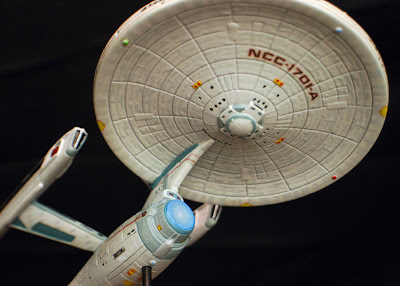 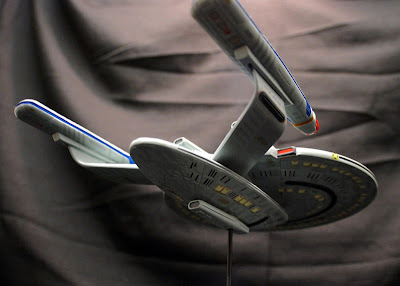 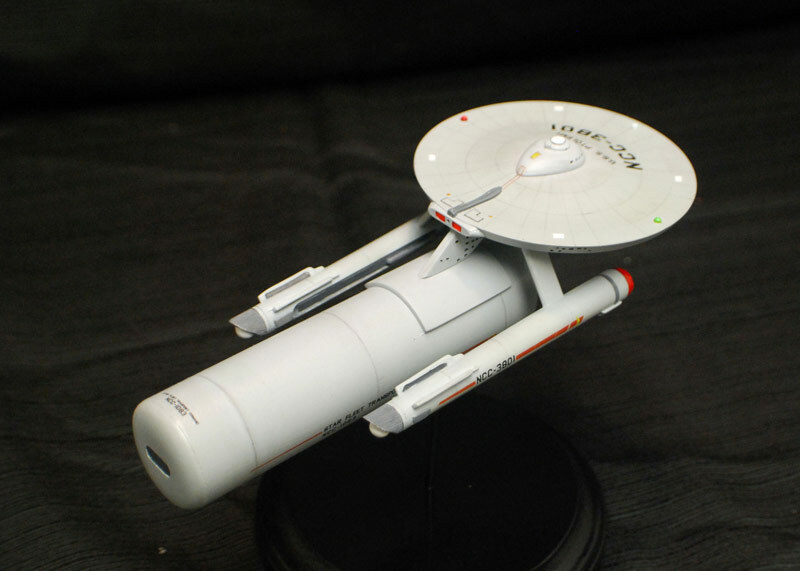 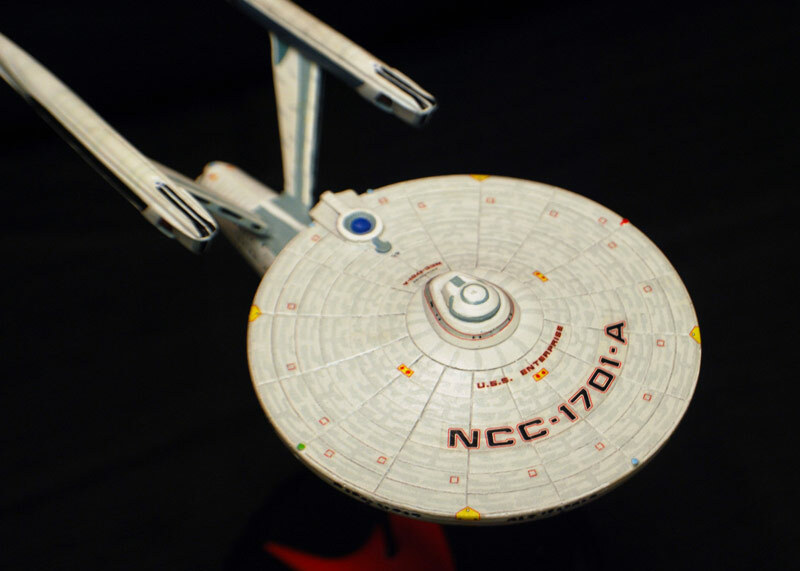 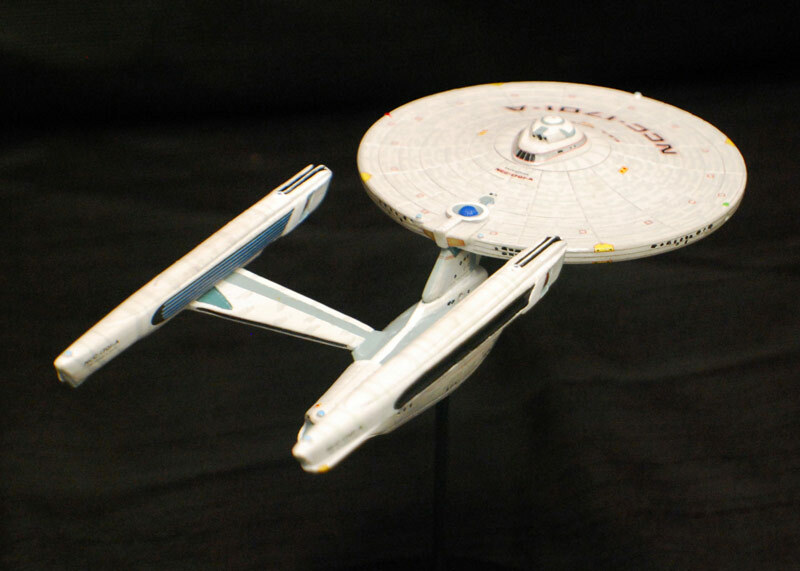 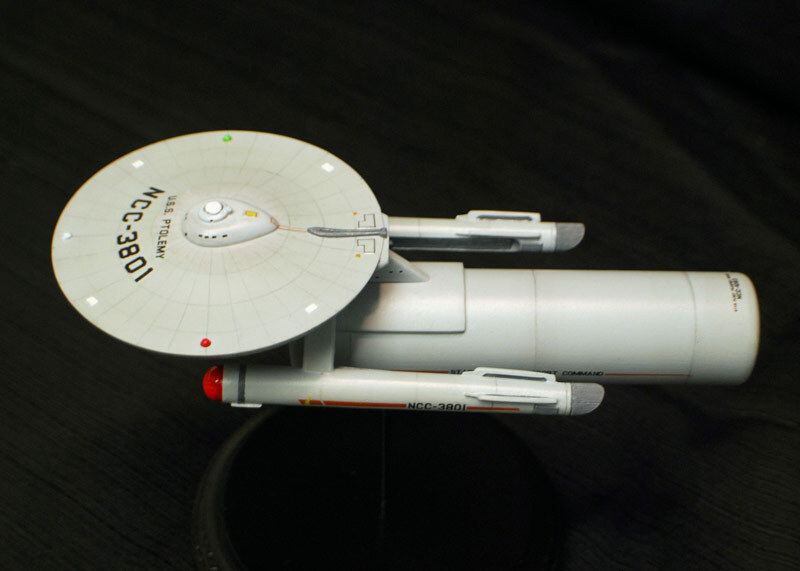 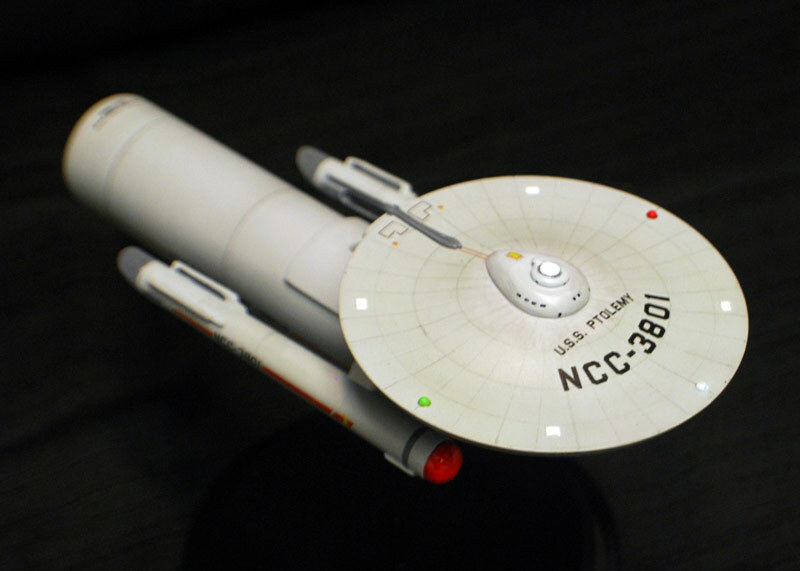 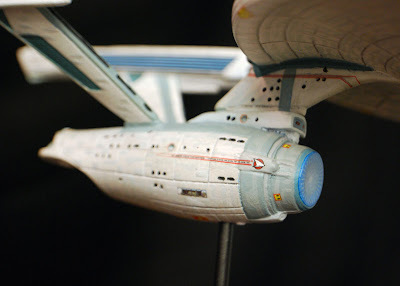 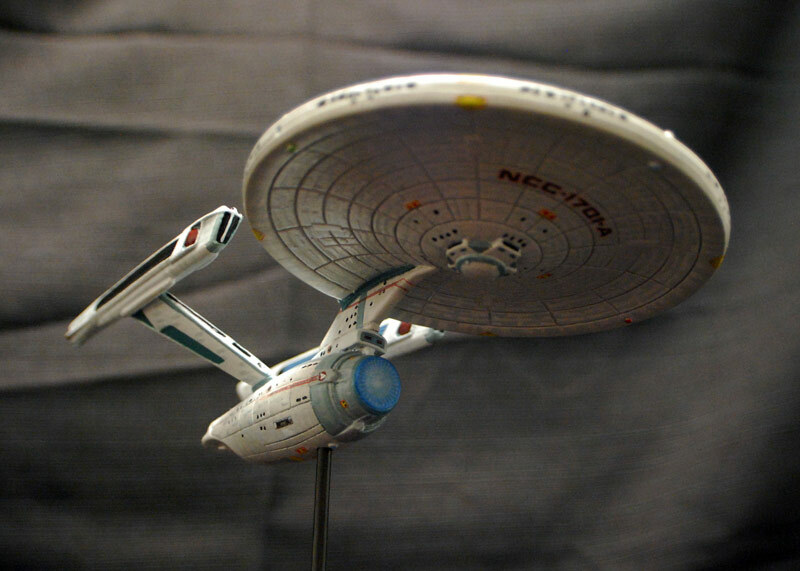 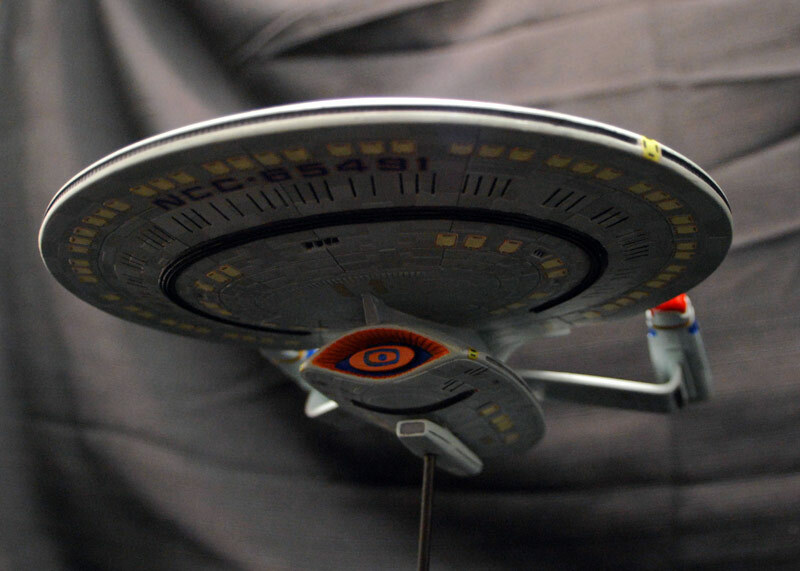 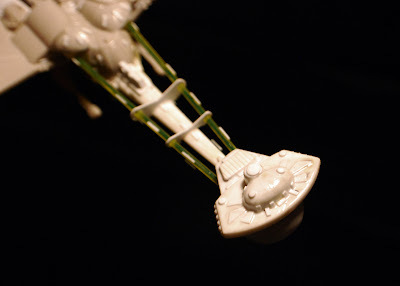 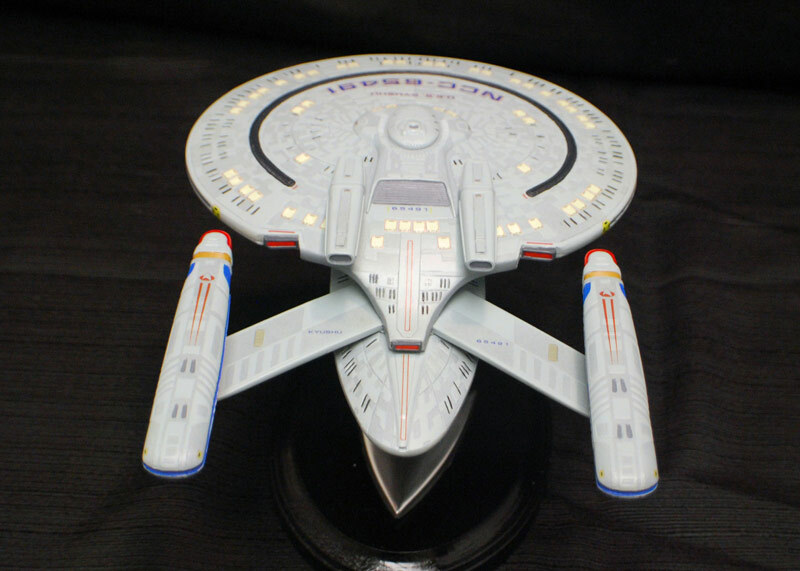 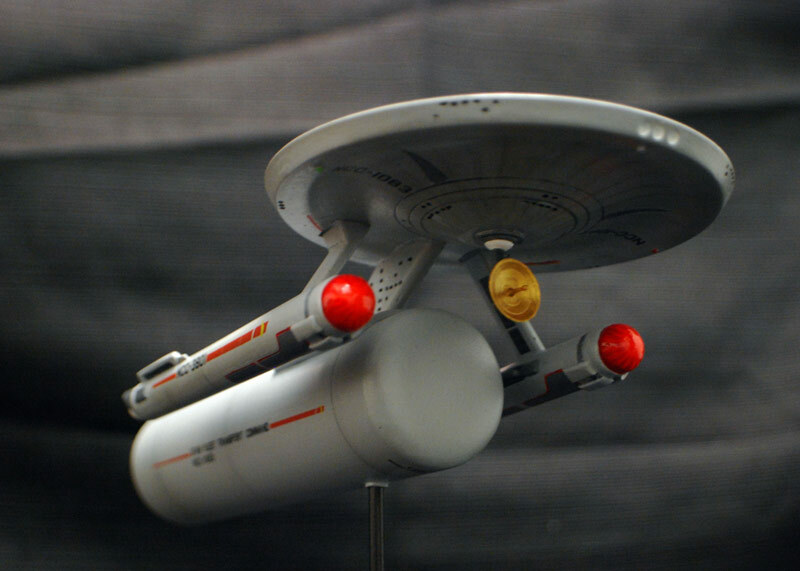 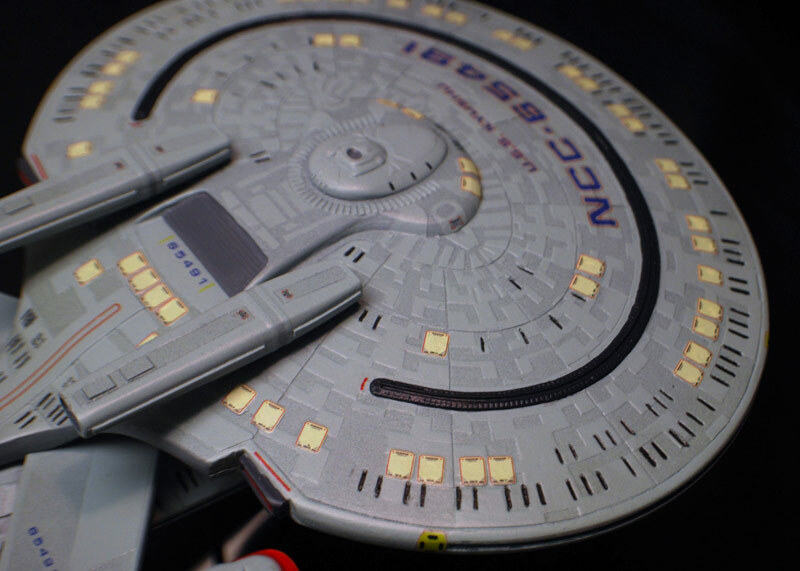 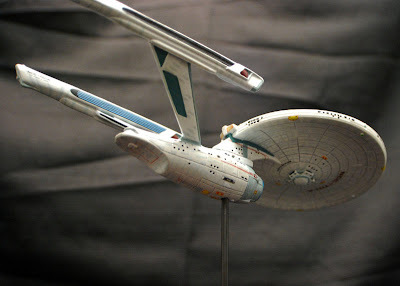 Here's some pics of a little fun scratch build project I did; A retro TOS styled NX-01. I started this kit years ago and it's sat in a box ever since and just finally got up the gusto to finish her off. 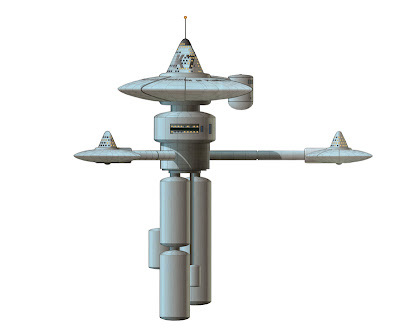 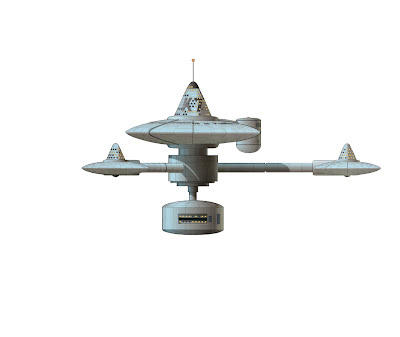 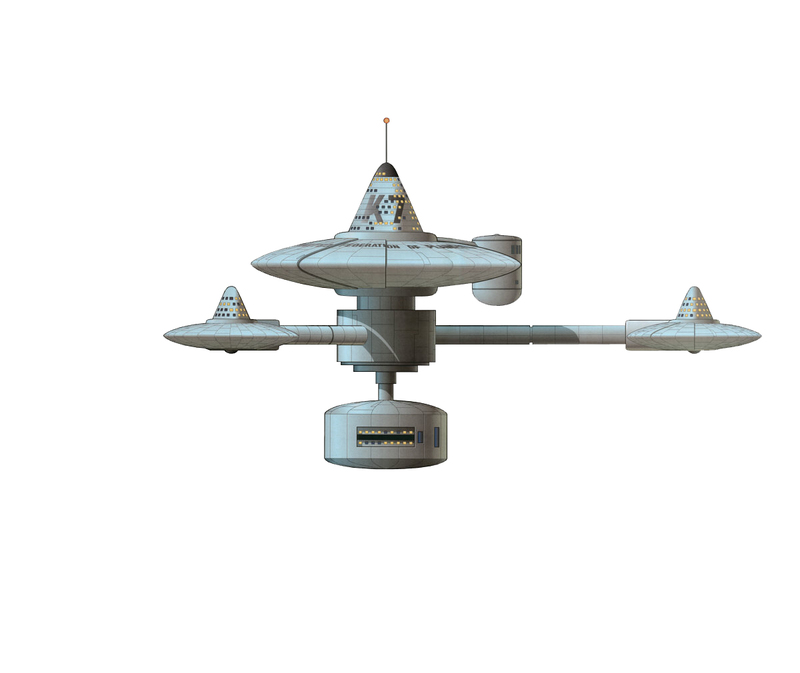 In anticipation of Round 2's K-7 re-release I decided to do a few quick PS comps of what kind of kitbashed TOS era Federation stations I can make from the pieces. 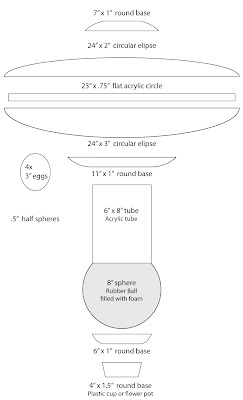 These are the result. 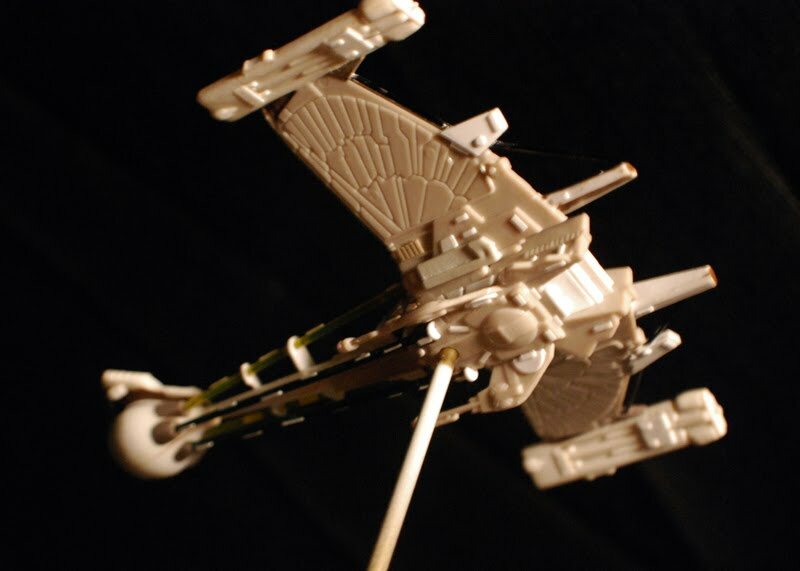 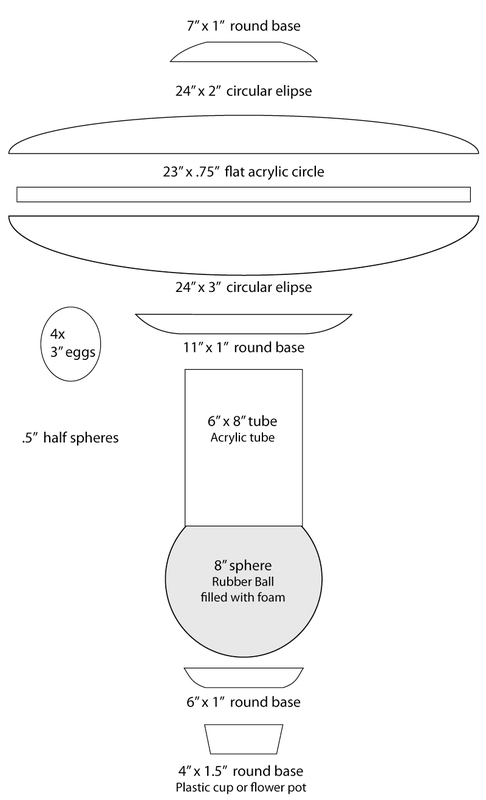 I will certainly make 1 classic K-7 and at least 1 alternate station model. 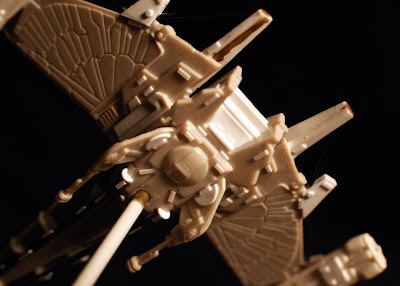 This kit has been a long time in the making. 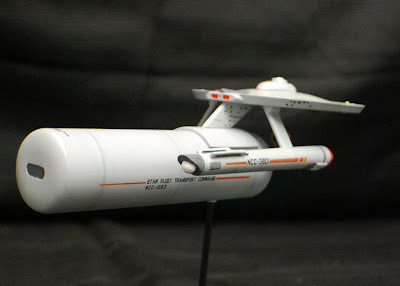 I bought it about 10yrs ago, built it, modified it to fit JT graphics decals, started painting it, then threw it in a box until about 4 months ago when I unearthed it. 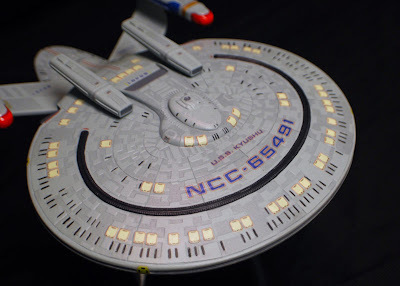 I striped it down to the bare resin and started all over again. 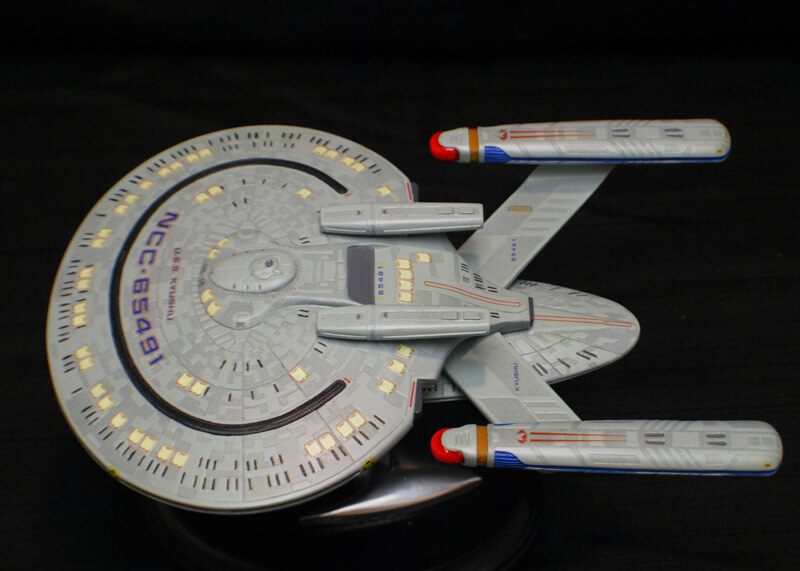 The aztec pattern is hand painted, the decals are from JT graphics. I've always loved this ship. 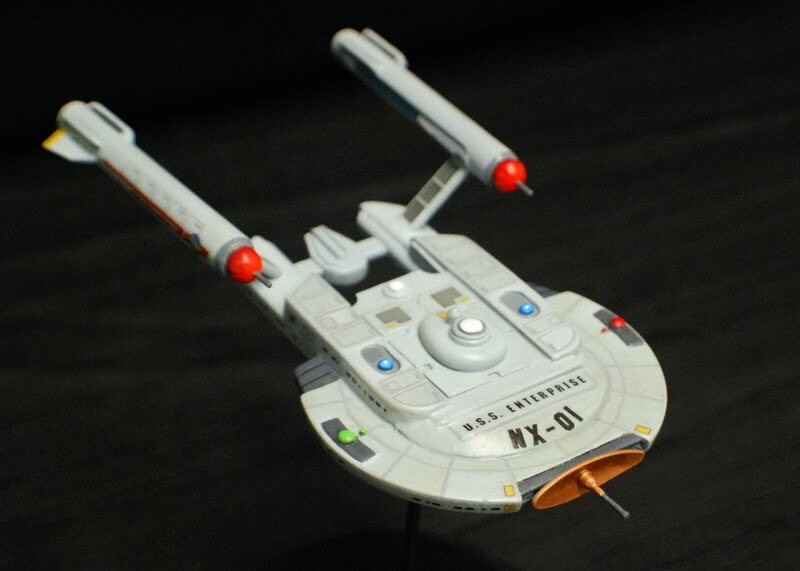 I built the Bandai one and intend to make the 350th scale version someday, but for now at least I have one in my 1400 scale fleet. Here's some pics of the USS Ptolemey. 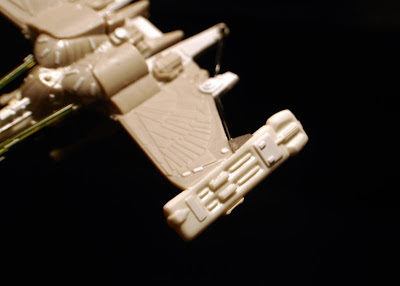 I built this guy right out of the box with only one modification, that being the hanger bay door I sculpted into the rear cargo bulkhead and the deflector dish mount, which was missing from the kit when I bought it off ebay. 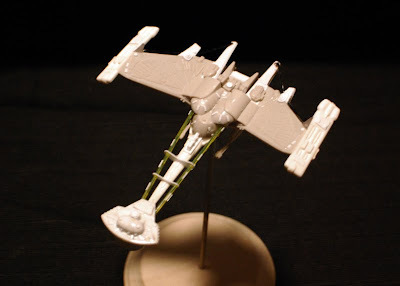 The Paintjob was pretty standard aside from the gridlines which were done with a pencil, some stencils and a light hand. I'd like to thank Dennis from Starcrafts for graciously providing me with a replacement set of decals for free. 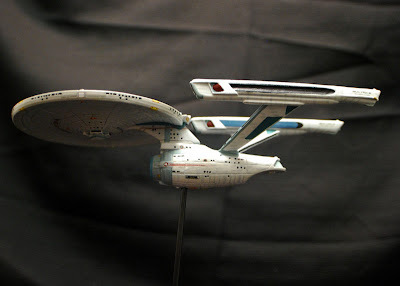 I couldn't have finished the model without his help. Here's some pics of my recently finished Starcrafts New Orleans Class Model, the USS Kyushu. 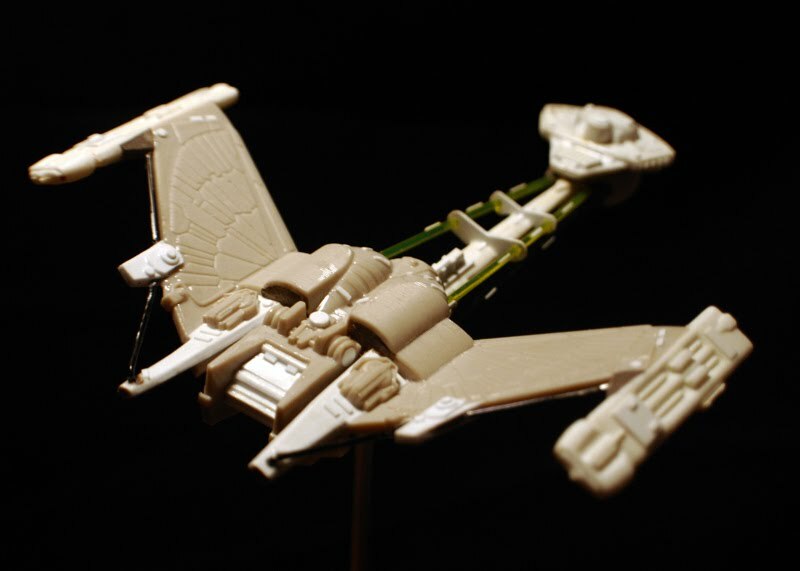 This was one of the ill fated vessels of the battle of Wolf 359. 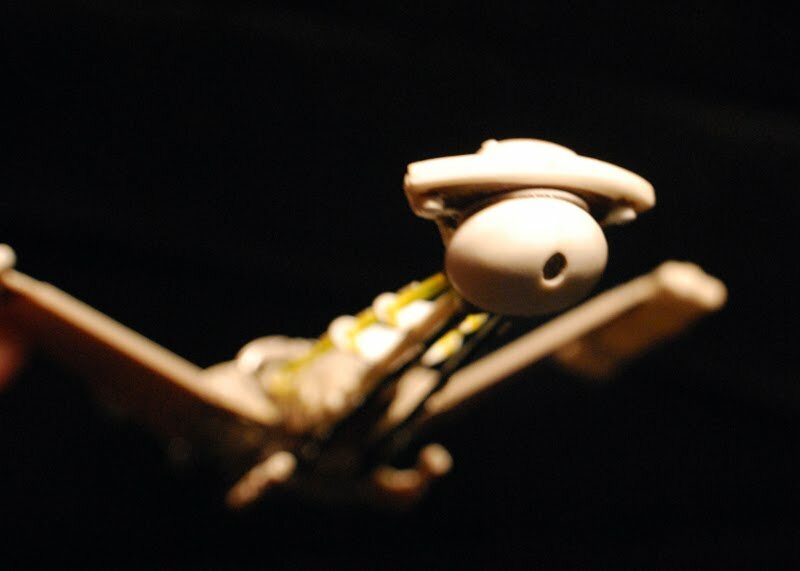 The model is primarily painted with Tamiya AS-5 spray, with a hand painted aztec pattern. 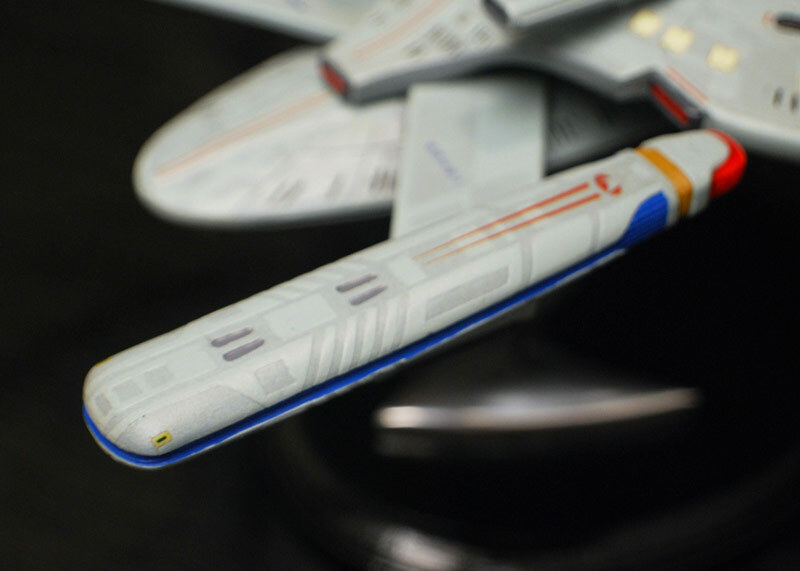 The decals were a combination of the ones provided by Starcrafts and lifeboat / additional insignia from a spare JT Graphics decals set I had laying around. 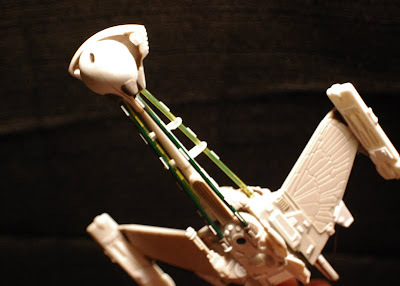 All in all I have to say this was one of the coolest and most fun kits I've built yet.